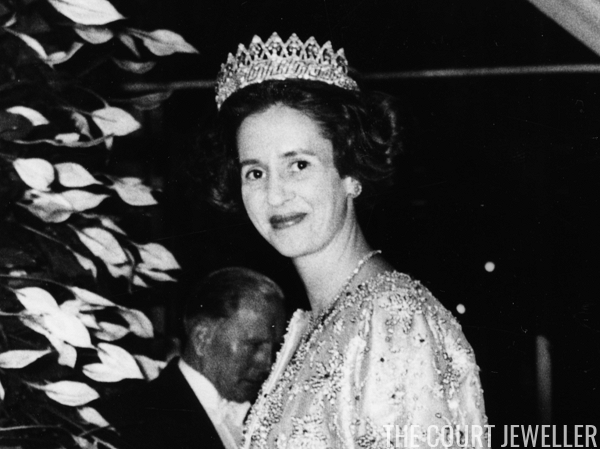 The tiara, which first belonged to Princess Astrid of Sweden, is approaching its ninetieth birthday. When Astrid married the future King Leopold III of Belgium, the sparkler was among her wedding presents. It was made in 1926 by Van Bever, a Belgian jeweler, and given to Astrid on behalf of the Belgian people. The original tiara was a meander bandeau topped by a series of large, round diamonds (which, in some lights, appear to have a slight yellow cast) on spikes. It was able to be worn with or without the top pieces from the start. 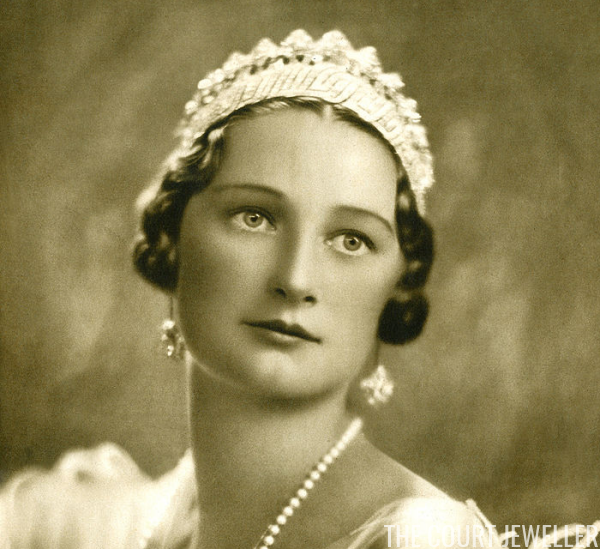 After Astrid's death in 1935, her husband, King Leopold III, inherited the tiara. His second wife, Lilian, never wore the complete piece, though she did wear various components of the tiara, including using the meander section as a bandeau tiara (as shown above) and as a bracelet. But the complete, full tiara has still only been worn by Belgian queens. 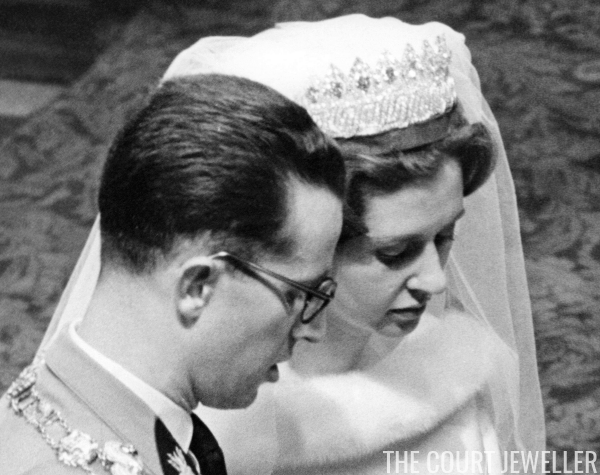 When Fabiola de Mora y Aragón married Leopold and Astrid's son, King Baudouin, in 1960, she received the piece, even wearing it on her wedding day. Fabiola wore the tiara in various forms throughout her reign. Above, you can see her wearing the piece in a particularly unusual way: with the interlocking arches but without the large round diamonds. When Baudouin died unexpectedly in 1993, Queen Fabiola passed the tiara to the new queen consort, Paola, who wore it until 2013, when her husband abdicated in favor of their elder son. 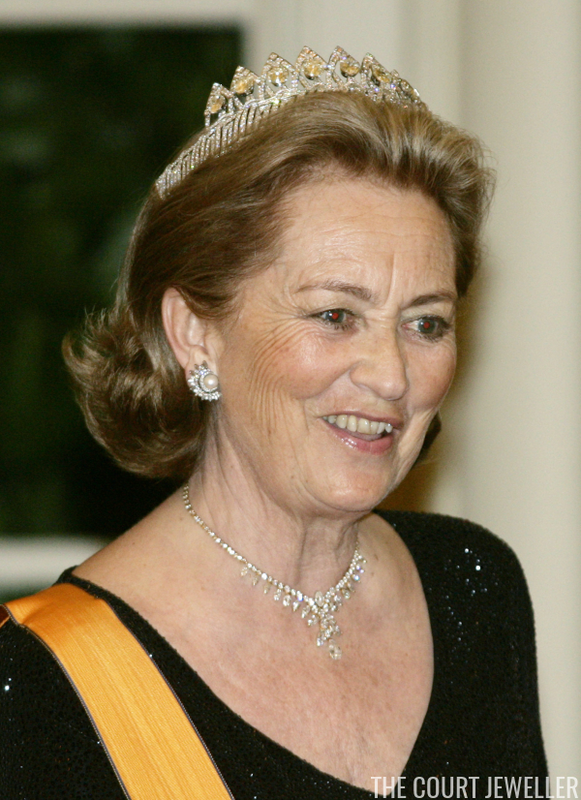 During her time as Belgium's queen, Paola mainly alternated the Nine Provinces Tiara with the Art Deco Bandeau that she received as a gift from her father-in-law. On at least one occasion -- the Danish royal wedding in 2004 -- she wore the bandeau base of the Nine Provinces Tiara as a choker necklace. Today, the tiara is worn by Queen Mathilde, the first Belgian-born queen of the country. 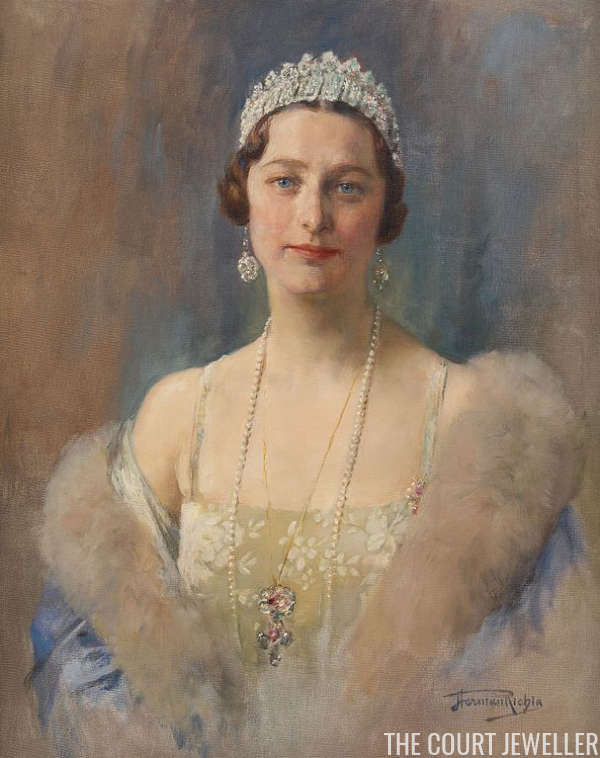 She posed in the tiara for her first official portrait as consort, although she chose to wear only the meander bandeau rather than the full version of the tiara. She tends to wear the bandeau more often than the full tiara, but she does sometimes wear the complete piece. Mathilde will continue to have sole use of the tiara until the day that her elder daughter, Elisabeth, becomes queen. Elisabeth will be the first ever queen regnant in Belgium should the monarchy survive to her accession.